The Primo 609 Quick Lights (24 pieces per box) by Primo Grills ships factory direct to your door. Use one or two sticks to quickly and easily start your lump charcoal. 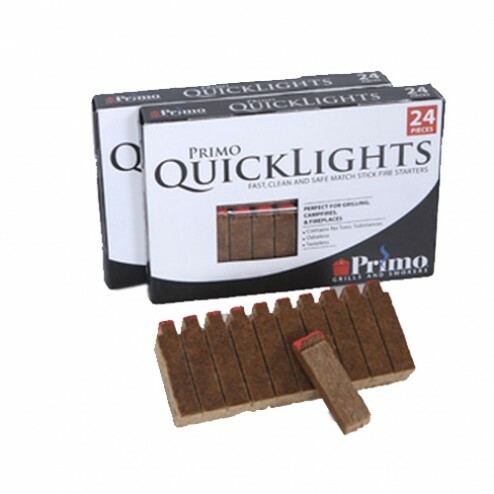 We even provide a place on the box to strike your Primo Quick Lights.